Find all the infos for NZ Arb Events here. Pro Climb provides excellent services in Arborist Training, Emergency Tree Work, Horticultural Abseiling, and Contract Tree Climbing. Find out more here on our Company Arborist Services Page! Climb Safe! Rossy and the Pro Climb Team. 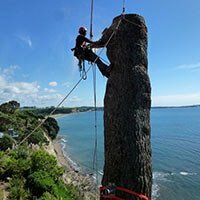 We provide a range of tree climbing services including aesthetic tree pruning, canopy research, abseil planting and large crane assisted emergency tree removals. Book your fully qualified, professional tree climbers and horticultural abseilers today! We can provide a range of services including aesthetic tree pruning, canopy research, abseil planting and large crane assisted emergency tree removals. Book your fully qualified, professional tree climbers and horticultural abseilers today! 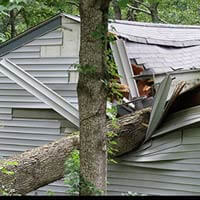 Pro Climb provides emergency tree work for residential and commercial customers, power providers and regional councils. 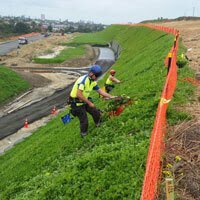 We are an approved Auckland Council contractor for specialised tree work. Contact Pro Climb for Emergency Tree Work by safe, reliable & efficient tree climbers! 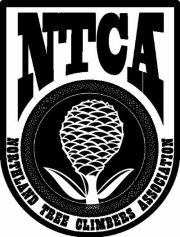 Please help us build the NZ wood weight table for arboriculture. Simply cut a piece of branch or a disc from a trunk. 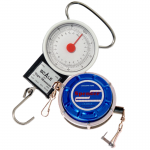 Then measure the middle circumference and length, and weigh it with a fishing scale or a similar device. To increase accuracy, best take the measurement when the wood is freshly cut. Show Your Support with a Business Review! Have you worked with Pro Climb before? Let our team know how it went, we love hearing from our fans about how we are doing. Please let us know if we have met your expectations. Connect with Pro Climb on Facebook! We’d love a Business Review on Facebook and Google!